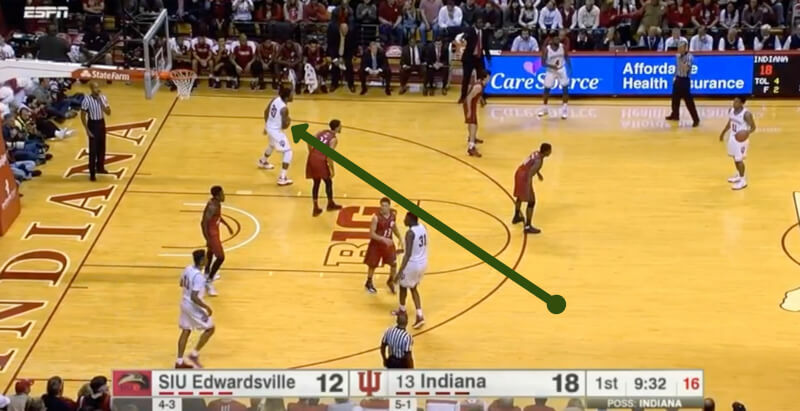 While Indiana’s offense is often predicated off quick scores on the secondary break, this weekend’s slate of games in Bloomington showed the Hoosiers are beginning to expand their offensive repertoire in the half court. Nice Ryan. Love that kick-out from DD to TB. Look how open TB is rolling to the hoop in series 3. I know it’s a set play but JN has to see that and get him the ball for an easy score. I enjoyed the high-low with TB and DD a couple times where I yelled YES! JN didn’t have a great passing lane and I think if he forces that pass it leads to a steal or sets TB up in a bad position to make a play, again maybe leading to a turnover. 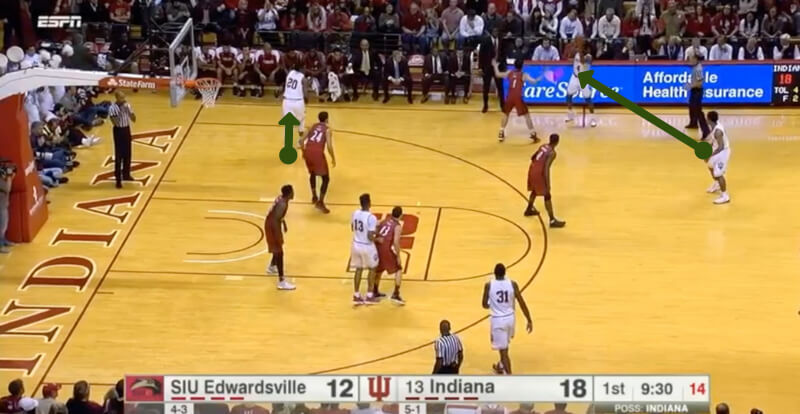 Look at JN’s passing lanes from 0:06-0:09, that’s a tough and high risk play all the way around. I think the better play or coaching point was for Jones to come out of the corner closer to the three point line forcing the defense to defend his shot and putting him in better position to make an entry pass to TB on the reverse pivot seal, which TB FAILED to do. 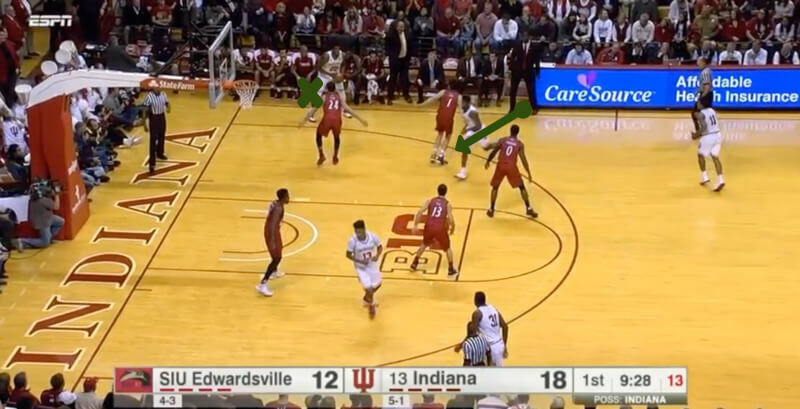 That also puts Morgan’s rotating man in a tough spot to help on TB around the basket or get out to Morgan to defend the three. Jones reads that man and makes the easy pass. (0:09-0:11). I mentioned yesterday in a thread about how getting TB the ball was both the wing players missing him and TB failing to time a seal or get position for a post feed. This is a good example of both. 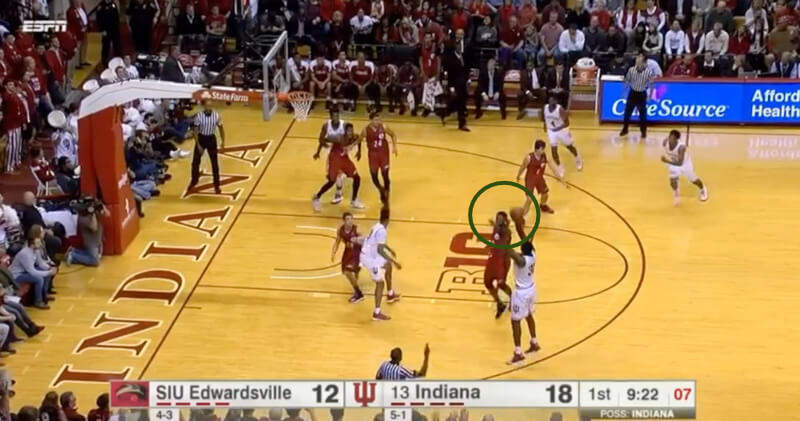 Luckily for IU, Morgan still makes a play. On that same play (Series 3) JN really does a poor job of using the double screen. 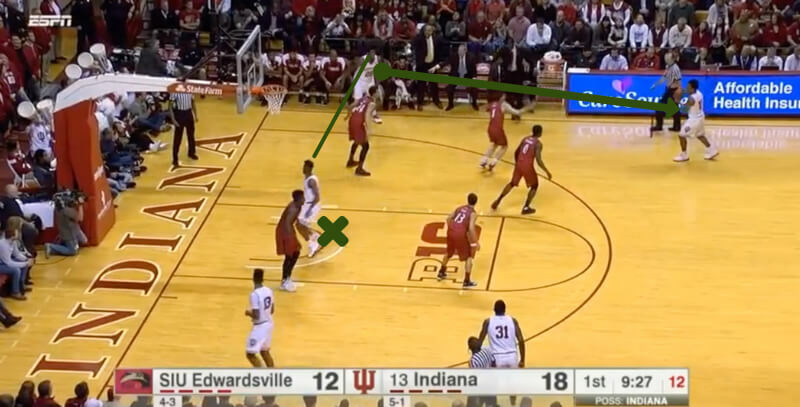 He makes two runs near the screens without really using them to scrape off a defender. Things worked out but my HS coach would’ve sat me for not using screens fundamentally. That lane at :09 is wide open and TB already has the defender screened. 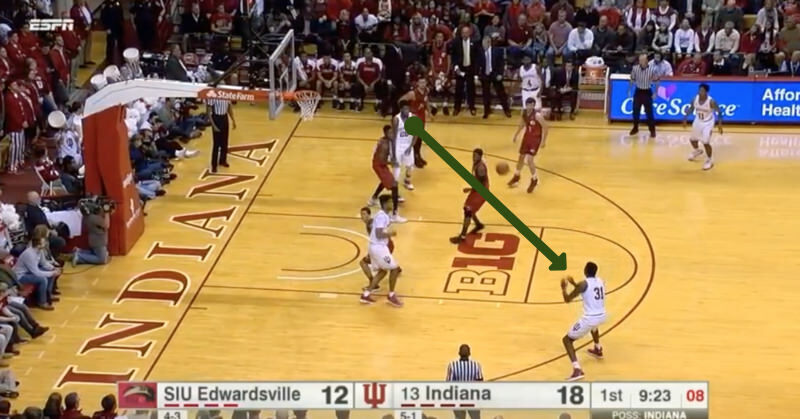 Easy lead pass to the rim for a PG with good vision. The bounce isn’t there through two defenders and any chest pass over the screen defenders let’s the two help defender (Jones and JBJ’s men)make a play on the ball. 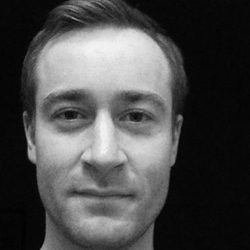 Can the pass be made…yes. Is it an “easy” pass, no. 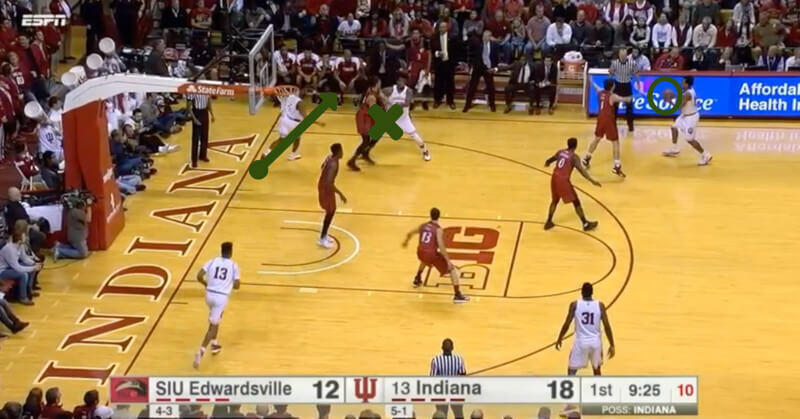 It’s a pass over the top when the defender is still on JM’s hip. 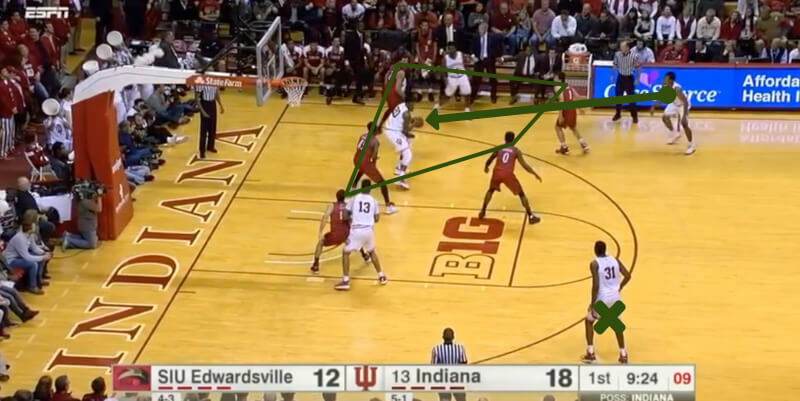 No way the perimeter defenders react in time especially if JN holds them with his eyes. No more difficult than throwing a pass over the top when a player fronts in the post. 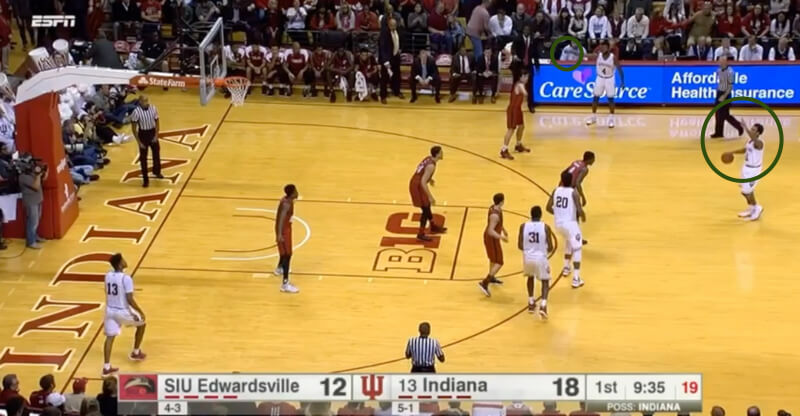 Timing is critical and can’t make the pass if you’re not expecting it. Appreciate your perspective but I’m making that pass all day every day. My son’s a center and I’ve been using TB DD inside out play to show him textbook post play. He’s been helping his teammates try and understand the concept as well. I’m hoping it pays off because his team is really bad lol.